Darren Aronofsky is a Serious Man. We know this because he makes Serious Movies: Requiem For a Dream, The Fountain, The Wrestler, Black Swan. Yet each of these features have their comic aspects as well, which has led some critics to wonder if the Brooklyn-born Harvard grad¡ªwho began his career as a field biologist and once cited a Charles Mingus track as an influence in an interview¡ªis a willful walker along the tightrope between the sublime and the ridiculous. The release of Aronofsky's new epic Noah seems primed to re-inflame this debate; starring Russell Crowe as the Biblical patriarch alongside the requisite DeMille-ian cast of thousands (of CGI'd animals), this take on the apocalyptic Ark mythos looks positively po-faced even as certain of its images¡ªlike a man plunging a flaming sword deep into the Earth¡ªhint at a certain florid silliness. The controversy over Noah's appeal (or lack thereof) to Christian filmgoers has obscured the auteur narrative here, which is that after two relatively small scale successes with The Wrestler and Black Swan, Arnofsky is plunging back into the epic-slash-metaphysical mode of The Fountain - his least successful and most widely reviled film to date. Besides establishing Aronofsky as the first of the late-90s movie brats to go chasing after Stanley Kubrick¡ªDavid Fincher and Paul Thomas Anderson were both late out of the starting blocks, with Spike Jonze bringing up the rear in this year's Her¡ªThe Fountain seemed like a different and more generalized sort of throwback: a 70's-style cautionary tale about filmmaking ambition run amok. Not that the film, which starred Hugh Jackman as a soldier of love fated to replay his affections for Rachel Weisz in a variety of historical time frames, was made in the New Hollywood style: its swirling, screensaver aesthetic date it as an early 21st Century curiosity. No, what felt old-school about The Fountain was the meta-narrative of a talented young director cashing in the artistic capital of his low-fi, breakout hits for the real thing¡ªand losing something in the exchange. 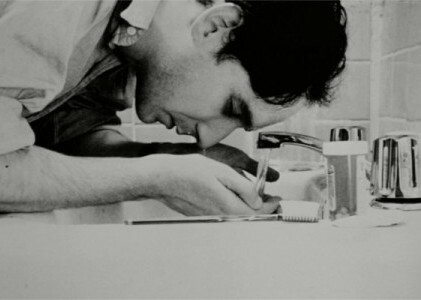 Aronofsky was not the first termite who dreamed of being an elephant: in with The Fountain, the director was merely treading¡ªand tripping¡ªwhere predecessors like Martin Scorsese, Brian De Palma, Francis Ford Coppola and Steven Spielberg had all gone before. But where his own showbiz kid contemporaries, from Jonze and Sofia Coppola to Christoper Nolan to both Andersons all debuted with (comparatively) modest movies, Aronofsky's cinema hinted towards the grandiose from the very beginning. 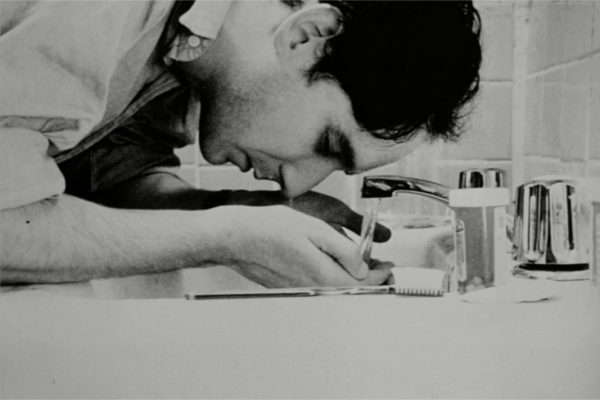 Produced on a shoestring but as tightly wound as a Gordian knot, Pi (1998) was about nothing less than an underdog genius who believes he's got the secrets of the Universe at his fingertips¡ªa portrait of the artist as a young man, perhaps. "When I was a little kid, my mother told me not to stare into the sun," explains Max (Sean Gullette), the first of the director's chronically self-destructive protagonists. The line evokes plenty of heady reference points, from the story of Icarus to Plato's Cave, but Aronofsky's debut feature doesn't betray much of a sense of literariness: for all the left-brained rhetoric about numbers and systems, Pi is unnerving in a more gut-level way as well. Shot in high-contrast black-and-white by the then-unknown Matthew Libatique¡ªwho would go on in short order to light music videos by Jay-Z, Moby and Incubus¡ªPi is a cluttered, claustrophobic movie: its dense, jagged aesthetic rhymes with the "cluster headaches" that afflict Max in between his bursts of extreme lucidity. The visual debt to Repulsion is obvious, although Guellette is a less glamorous camera subject than Catherine Deneuve; instead of taking a star and dulling her wattage a la Polanski, Aronofsky is using an unknown actor to embody a man whose obsession with integers has rendered him an utter cipher. The plot of Pi is pure Twilight Zone hokum, complete with Serling-ish intimations that everything that's happening¡ªi.e. Max's accidental discovery of a 216-digit number that corresponds precisely to ebbs and flows on the New York Stock Exchange, and, maybe, a divine code embedded in the Torah¡ªis all in the hero's head. (This is also true in the Coen brothers' A Serious Man, with all its gags about Hebrew numerology and the malevolent "Mentaculus," a number that controls the Universe). When Hassidic scholar Lenny (the excellent Ben Shenkman), who has already warned Max to tread lightly with his discovery, shows his true colors and starts spouting scary stuff about the number being the true name of God and heralding the beginning of a Messianic age, it's like a justification for all the free-floating portent that's come before it. The mix of self-consciously ragged visuals and ephemerally doomy vibes is potent stuff, and, paradoxically, the cosmic scope of the horror hits home precisely because of Aronofsky's restraint in ever actually visualizing it. In this way, the movie's low budget becomes the most powerful tool in Aronofsky's arsenal: it allows him to rely primarily on the power of suggestion. For examples of what happens when filmmakers working in a similarly minor key try to conjure up end-of-days imagery you can look either to the deliberately cheesy Four Horseman who show up at the end of Michael Tolkin's The Rapture, or the antlered phantoms who rampage all over the back half of Larry Fessenden's The Last Winter¡ªcompromised visions both. Even Jeff Nichols, whose excellent Take Shelter is in some ways very similar to Pi (and Noah) didn't totally nail the hallucinations suffered by its paranoid protagonist; that film is at its most frightening when the camera rests on Michael Shannon's face, contorted in fear and agony. 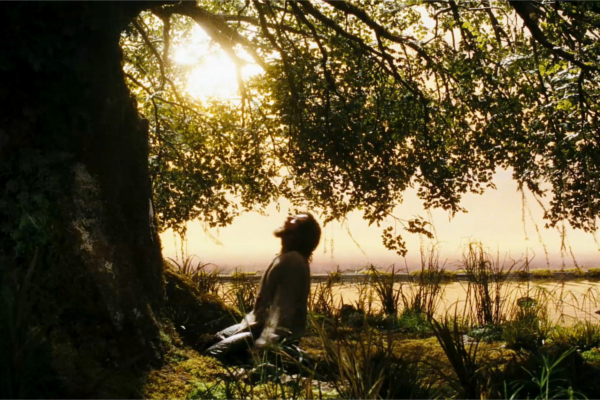 In this way, we might say that what's best about Pi¡ªthe gigantism of its concept balanced out by the modesty of its execution¡ªis what gets flipped later on in Aronofsky's work: The Fountain is Pi in reverse, using grandiloquent cinematic means to illustrate a rather slender thesis about eternal recurrence. Pi is no less an immersive filmmaking experience than The Fountain; without really ever leaving Max's dilapidated apartment building, it creates an entire world. And by suggesting that the inside of its lead character's head is a similarly overgrown space¡ªby giving Max ample headroom, as it were¡ªthe film succeeds in blurring the literal-figurative boundary in a way that's close to David Lynch¡ªwho, like Aronofsky, gradually "graduated" from the handmade hijinks of Eraserhead to the studio debacle of Dune (a movie that would go nicely on a double bill with The Fountain). Pi concludes with a grisly twist that's ultimately the only place that it could really take its story; too clever and cost-conscious to attempt outward spectacle, Aronofsky quite literally turns things¡ªin this case, a power drill¡ªinward, leaving Max lobotomized by his own hand. It's a provocative image that rhymes with the character's reminiscence of childhood recklessness. In lieu of staring directly at the sun, he attacks his eyes in a different way. Pi implies that self-knowledge can be a prelude to self-destruction¡ªa scenario that Aronofsky's later features have played out in a variety of ways, although never as viscerally as in his debut.